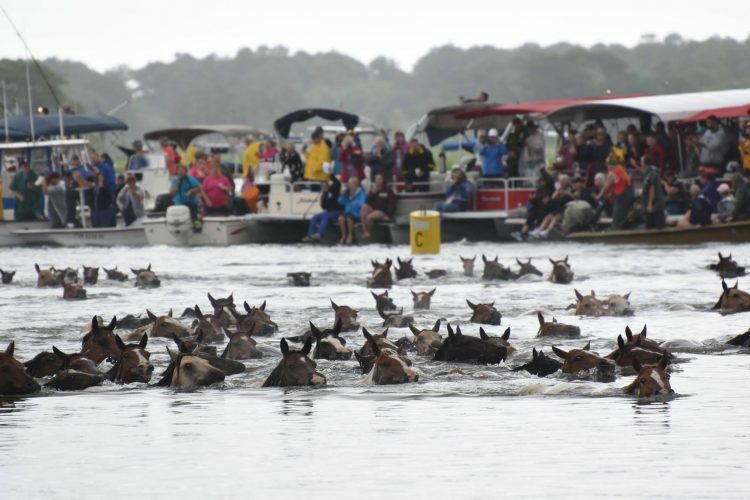 Standing in a massive crowd along the shoreline, Marie Abowd ’19 watched in delight and wonder as hundreds of wild ponies made their way across the channel between the Assateague and Chincoteague islands. 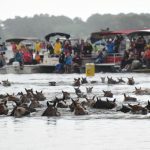 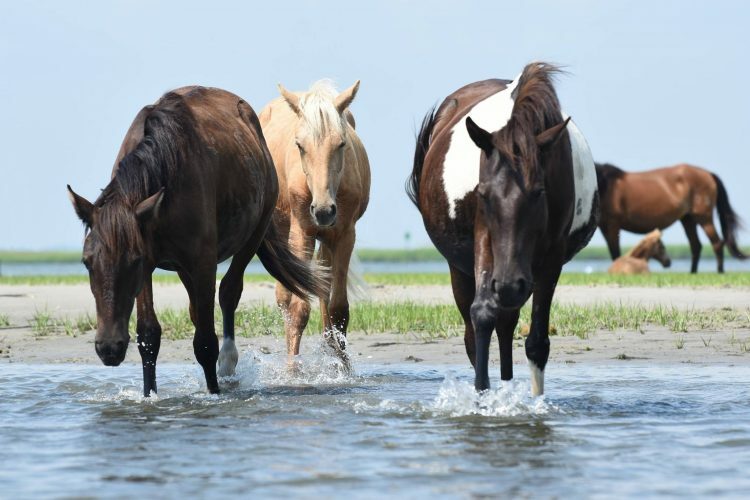 For Abowd, witnessing the internationally known Chincoteague Island Pony Swim this summer was not only a childhood dream—it was a part of her senior research at Randolph. 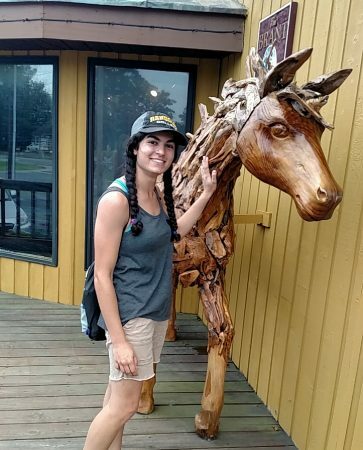 In addition to attending the Chincoteague Island Pony Swim and Pony Penning Week, Abowd got to see the namesake of her favorite childhood novels at the Museum of Chincoteague, where Misty of Chincoteague and Stormy, one of her foals, are on display. 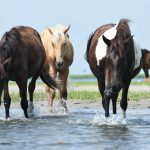 She also traveled to Corolla, N.C., where she took a wild horse tour with the Corolla Wild Horse Fund and interviewed the chief operating officer about the wild horse population and their management techniques. 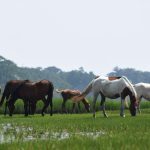 Abowd presented the results of her research during the environmental studies and science department’s senior presentations earlier this week. 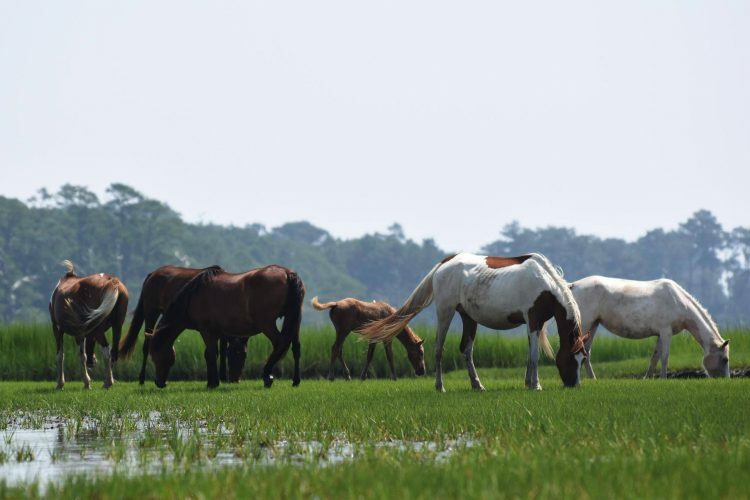 Her presentation was titled “Horsin’ Around: A Comparative Analysis of Wild Equine Management Strategies on Atlantic Coastal Islands.” Abowd received a Randolph Innovative Student Experience (RISE) Grant for her work, which helped pay for travel and lodging expenses.